In employers’ fight to become truly digital businesses and create cultures of innovation, HR teams are on the front line. But while tasked with hiring and onboarding candidates with future-proof skills, many of their own operations remain stubbornly stuck in the past. Cloud technology is far from a new phenomenon, but it may as well be for many HR teams: more than half of organizations still use on-premise solutions for their HR management systems. By clinging to rigid legacy systems of record, HR department processes have failed to evolve with the management practices around them. As technology and talent management philosophies fluctuate, the cloud will be an unavoidable frontier for HR teams seeking to become more efficient and valuable to their organizations. Here’s a basic cloud primer for HR professionals. Integration: To be most effective, HR departments must maintain close collaboration with teams across the functional spectrum, from accounting to operations. And as the mobile, distributed workforce grows, HR teams must be able to operate cohesively across geographic locations. Data silos: Most HR processes today – recruitment, onboarding, benefits administration – are no longer isolated to the HR team. Managers track performance details about their employees, accounting requires access to payroll data. On-premise technology undermines these needs, making it difficult for all HR “users” to quickly find the right information. 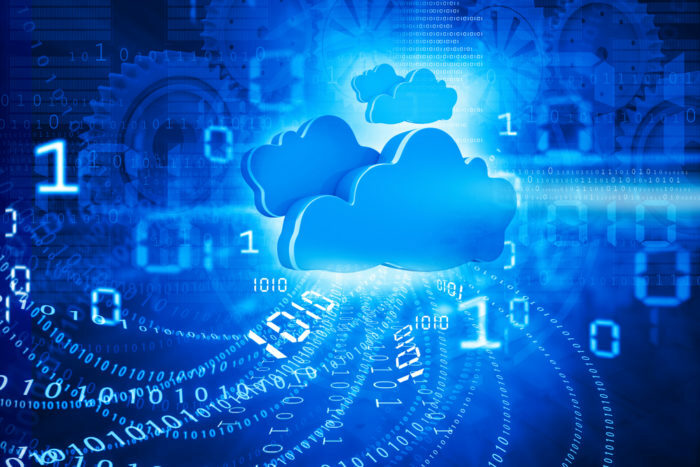 Read about data security in the cloud here. Currency: HR is still often perceived as a back-office function, or a non-revenue generating cost center. Without the right tools in place, HR teams reluctantly end up spending more time on administrative paperwork and less on strategic projects. Unifying processes: Switching to a cloud-based HRIS lets HR teams better integrate processes internally and across teams. Building on cloud-based platforms like SAP, for example, HR teams can connect previously disparate apps for performance management, applicant tracking and compensation all in one ecosystem. When HR’s core apps live in the cloud, it’s that much easier to embed them into the programs employees and managers use in their day-to-day (including Outlook, Google Drive, SharePoint and Slack). Instant accessibility to data: Many employers have embraced a modern management philosophy that emphasizes real-time coaching and development – so the information HR teams and managers use to guide their own decisions should be too. Cloud app innovations make it possible for HR departments to transform once manual, time-consuming processes into on-demand action. Pulse survey apps, for instance, let HR capture employees’ job satisfaction and sentiment toward new company policies in minutes, rather than waiting for a biannual engagement survey. 2017 will bring even more change into the HR world. Teams that embrace the cloud have the best odds of keeping up, rather than constantly playing catch-up. Meredith Graham, is senior vice president of human resources at Ensono, a cloud services provider. She directs a team responsible for driving company culture, recruitment, benefits and employee compensation. Before coming to Ensono, Meredith was chief administrative officer, general counsel and corporate secretary at Furniture Brands International where she managed the HR activities of over 9,000 employees in three countries. Meredith also served as associate general counsel at Savvis, now part of CenturyLink. Meredith received a BA from the University of Central Oklahoma and holds a Doctor of Law (JD) degree from the University of Missouri-Columbia.